Cell injection is an approach used for the delivery of small sample substances into a biological cell and is widely used in drug development, gene injection, intracytoplasmic sperm injection (ICSI) and in-virto fertilization (IVF). Robotic cell injection systems provide the automation of the process as opposed to the manual and semi-automated cell injection systems, which require expert operators and involve time consuming processes and also have lower success rates. The automation of the cell injection process is achieved by controlling the injection force and planning the motion of the injection pipette. Traditionally, these systems are analyzed using paper-and-pencil proof and computer simulation methods. However, the former is human-error prone and the later is based on the numerical algorithms, where the approximation of the mathematical expressions introduces inaccuracies in the analysis. Formal methods can overcome these limitations and thus provide an accurate analysis of the cell injection systems. Model checking, i.e., a state-based formal method, has been recently proposed for the analysis of these systems. However, it involves the discretization of the differential equations that are used for modeling the dynamics of the system and thus compromises on the completeness of the analysis of these safety-critical systems. In this paper, we propose to use higher-order-logic theorem proving, a deductive-reasoning based formal method, for the modeling and analysis of the dynamical behaviour of the robotic cell injection systems. 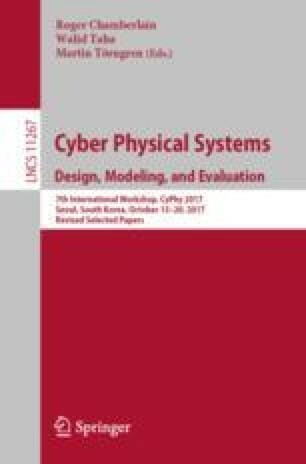 The proposed analysis, based on the HOL Light theorem prover, enabled us to identify some discrepancies in the simulation and model checking based analysis of the same robotic cell injection system.